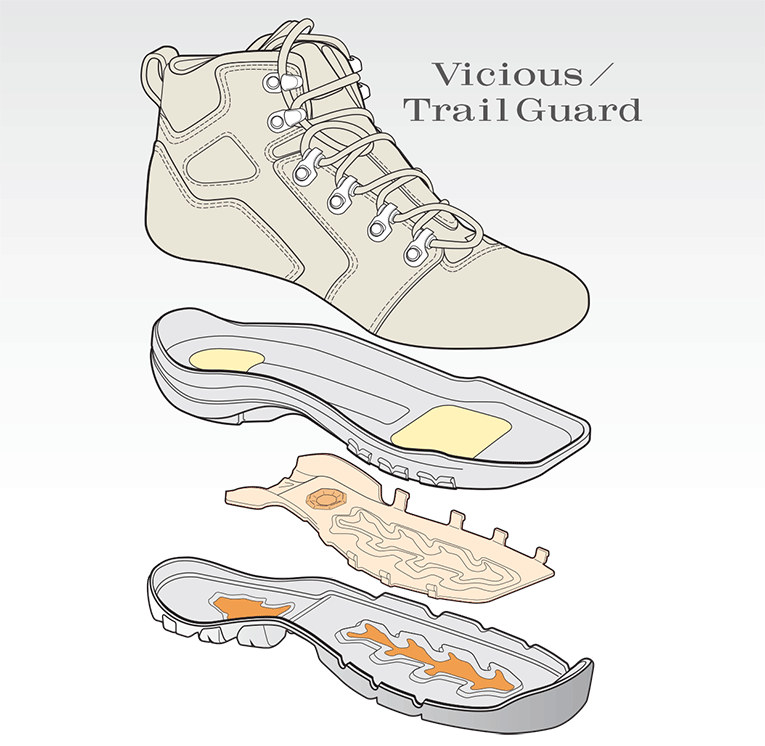 ADOBE ILLUSTRATOR RENDERING showing the inner construction of the work boot. Some Boots Climb Mountains. . . Others Climb Worksites. The desire for a lightweight, comfortable work boot challenged Danner to create something better. Throughout the design process, they used their wealth of knowledge and experience. The “ViciousTrail Guard” is their most comfortable non-traditional work boot, and one that is built to last.